Captain Thy’kir Shran lifted his finger from a button on the terminal in his ready room. He had come in here to record his thoughts as the U.S.S. Sebrova cruised at high warp toward their latest objective. These were momentous times, dangerous times, and he felt that they deserved to be chronicled. But he wasn’t sure where to begin. The peaceful exploratory mission Starfleet had offered him when he donned the uniform was no longer a priority. Across Starfleet, science vessels and starships built for exploration were being retrofitted for combat—the Sebrova included. All because of the Klingons’ attacks at the Battle of the Binary Stars. 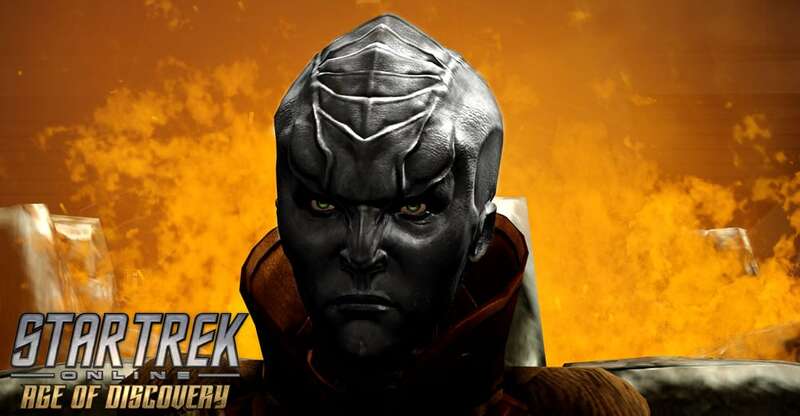 While he and the Sebrova weren’t present at the battle, he found it surreal to hear the news of the tragedy for two reasons: One, because of the Klingons’ sudden and unexpected savagery and two, because among the Federation’s losses was a ship named after his own great-grandfather, the legendary Andorian war hero Thy’lek Shran. He remembered touring the vessel not long after being named Captain of the Sebrova. He found it strangely gratifying touring the U.S.S. Shran, being treated with respect and honor based on his blood relation to a revered warrior he’d never met. This was not the galaxy Thy’lek Shran left behind, Thy’kir mused. He placed his finger back on the terminal and took a breath, his antennae twitching atop his head, seemingly searching the room for inspiration. Thy’kir paused. A status update? Is that what this update’s about? He’d listened to a collection of Thy’lek Shran’s logs and speeches to the exalted crew of the Kumari. Thy’kir’s ancestor was not an orator, or really a man inclined to give orders, but he fought like a wild sehlat, and when thrust into leadership, he conquered that role like he conquered every other obstacle he faced. He survived war with Vulcan and Romulus, and he defeated his own prejudices to play a central role in the foundation of the Federation. 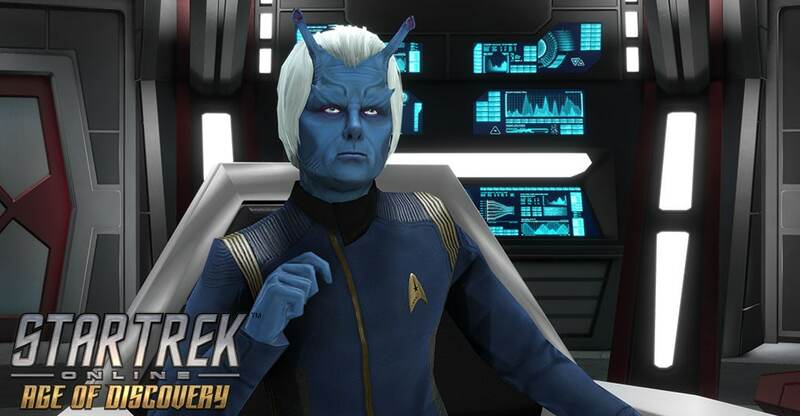 Generations later, Thy’kir Shran was a captain in service to the Federation his ancestor helped create. And yet, for all the advancement his family had seen, the galaxy was as dangerous as ever. He pressed the button again, and he leaned in toward his terminal. His antennae curled forward, as if trying to listen. Captain Shran reached up to scratch at the base of an antenna, a nervous habit he’d gained in his first days at Starfleet Academy, when he was one of the very few there with skin the color of Earth’s sky, and when everything he did was shrouded in his great-grandfather’s shadow. Unlike the Shran of legend, Thy’kir sought to excel through study, planning, and preparation, and he worried that his ancestor’s pugnacious past might stunt his advancement. To an extent, he was right, but he found that by settling in, spotting an objective, and stubbornly setting course for every opportunity, he could see a path to the hallowed Captain’s chair. He was disappointed, at first, to realize that the stubborn refusal to fail that propelled him forward in Starfleet was the same that led his ancestor to victory in battle. His antennae curled backward as he reflected on this. His ancestor faced horrific odds against vicious foes… but he wondered how his great-grandfather would approach the current threat facing Starfleet now: the constant terror of Klingon fleets suddenly materializing out of nowhere, destroying Federation ships before they could even enter Red Alert. The Sebrova’s mission was to investigate the fate of the Ticonderoga, but the recent days have proven that the Klingons were hunting civilian vessels in this sector as well as those of Starfleet. Traders and travelers peacefully moving through space, struck down by cowardly scavengers likely terrified of a stand-up fight. Captain Shran’s ancestor would have spit and cursed them, if he could meet them face-to-face, but these enemies kill without the courtesy of introductions. You’re safe, you’re whole, and boom, you’re dead. 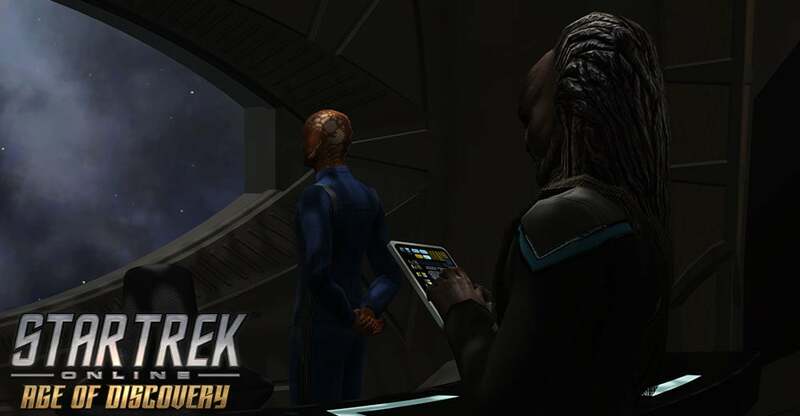 As he said this, his gaze fell upon a model on the shelf next to his ready room door: A gold-plated replica of the Kumari, the ship in which Commander Thy’lek Shran overcame the Vulcans, the Xindi, and his own prejudices to become a hero revered by three starfaring civilizations. He always felt emotional when he looked at this ship, and this time, the emotion was shame. The First Officer nodded, “Aye, sir,” and turned to give the order. Captain Shran pressed the terminal’s button one more time, and leaned forward. He rose and stepped away from his desk, the terminal’s log window closing as he stood. As he approached the door to the bridge, his glance caught the shine from the model Kumari once more. He paused in reflection for just one more moment, before he heard the klaxons from the bridge, announcing a yellow alert. “We’ll save this one, too, Commander Shran,” he said, and he charged onto the bridge to make his ancestor proud. The stars in the sky were simply boiling, exploding balls of gas, spread out over billions of miles. Ensign Keero had never understood his human companions’ desires to ascribe patterns to them. And yet, standing in the dark, looking out of the viewport of Deep Space Two, Deck 47, East Wing, Keero noticed these patterns. Most of all, he noticed they were different from what he remembered. This was not unexpected. From the time Keero had awoken two days ago, he had traveled exactly 153 years, three months, two days, twelve minutes, and 36.5 seconds into the future. During all of that time, the stars would shift, ever so slightly, the patterns would change. This was a natural and expected course of events. This should satisfy him. But Keero looked out at these new stars and felt…uneasy. Like he was barely holding on to the floor, and could go spinning off into space at any time. The feeling was not pleasurable, and he wished to make it stop. But yet, he could not stop staring out into the deep blacks and brilliant lights of the cosmos, wondering. Disorientation was expected in a situation like this – Agent Daniels had explained as much – but he felt more than disoriented. Keero felt like he was drifting. On his home planet, Keero had often felt small. His people were all giants by human standards, and Keero was no exception, but being seven foot tall matters little when your three sisters stand at eight, eight and a half, and almost nine feet respectively. His people were not by any means unintelligent, but Keero’s brain was like a supercomputer. He had always felt a gulf between himself and those his own age. When he arrived at Starfleet academy, all of that had changed. The other students, to use a human turn of phrase, spoke his language. At last, he had felt he had a place in the universe. Now, once again, he wasn’t sure. His human friends had often described their mind as “racing” to Keero. That made no sense. The mind was a stationary object. When he searched for a solution, he often felt more like it was a computer, searching memory banks and making quick calculations. Racing implied a loss of control, which Keero had never felt. Until now. The creature before him was a Klingon. One of the beings that had assaulted his ship, killed his Captain. His mind, the rational part, was frantically screaming calculations at him. There was only a .003% chance that this Klingon was even related to someone who took part in that attack. Yes, there was a war in this century between the Federation and the Klingons as well, but he knew of at least 4.5 Klingon members of Starfleet from throughout its modern and recent history. The chances of this Klingon – Thox – being an infiltrator and here to kill him was 122,695 to 1. All of these thoughts were there, in his mind. But his body was not listening. He reached for where a phaser would be, were he on combat duty. He felt dismay when he found nothing there. Responses spun in Keero’s find. The calculations had broken down. His supercomputer was spitting error messages into his mind, and he could not move. The doors opened and shut again, and Keero was left alone with a beating heart and a burning face. He gasped for breath, whatever errors had filled his mind before being replaced by a slowly growing sense of shame. It was three days later when Ensign Keero once again saw the Klingon science officer. Lieutenant Thox was sitting by himself in the mess hall, poking at replicated gagh with a fork. Keero looked around the room, at all of the other open tables where he, too, could sit alone. Then he remembered the friends he had left behind. The ones who had been dead for decades. What would Sylvia have done? Thox’s eyes darted up – and up - as Keero stood across from him. Silence passed between them for a moment. “It is not taken, Ensign. Please, join me.” Thox gestured to the seat, and Keero worked on placing his massive form in it. Most sentients found the sight of him attempting to sit in a seat for humans, especially one with arms, comical. If he agreed with that assessment, Thox did not show it. “Have you met many of my kind before?” Thox tilted his head, quizzically. The smell of ozone and burning flesh. Red lights flashing, alarms blaring. A terrifying woman standing over them, a mek’leth in each hand, dripping blood. Captain Schaefer’s lifeless eyes. “Well, if you ever get the chance to travel to Qo’noS’, or another Klingon world, you’ll find many scientists. They do not receive the glory of warriors, but they exist.” Thox said. “Then why are you not with them?” Keero asked. That was a novel question. Keero found himself unsure of how exactly to respond. He calculated thousands of avenues of approach, but none seemed to match the question on his mind. Thox waited, patiently. There was no way to do this delicately, Keero realized. He took a deep breath, and spoke. Thox nodded, and looked away for a moment. Other Starfleet officers in the mess hall were chatting merrily away, the tension of the war far away for them. Their bright voices and quick laughs seemed out of place with the conversation at hand. Keero knew what the Starfleet answer would be. 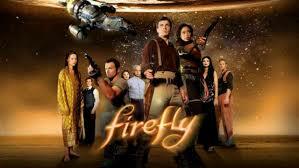 It was their highest ideal to reach out to other civilizations with an open hand. But a new part of his mind, one he did not yet understand, pushed against that conclusion. “I must be truthful, I do not know.” He finally said. Daniels tugged at the high collar of his wool coat as his temporal trainees followed behind. All three of the trainees were likewise garbed in heavy, long coats and gloves, with their specialized temporal equipment carefully stowed away in hidden pockets and beneath holographic camouflage. On mid-22nd century Andoria, non-Andorians were still rare, and the temporal agents definitely didn’t want to draw attention to themselves, so they stayed together, kept their heads down, and focused on the job. “Like the cold, pinkskin?” shouted an Andorian from somewhere in the crowded marketplace. Daniels simply turned and kept his gloved hands on his collar, partly obscuring his face, as he ducked past an open cooking station—some kind of deep freshwater shellfish, probably pulled out from beneath a glacial lake—and gently brushed past an old Andorian woman. Several small tables choked the space on the other side, where many Andorians ate and argued. Eyes followed the team, but most of the people in this squalid marketplace were too busy dealing with their own personal business to pry too much into the strangers in their midst. Daniels moved to hug the cold wall of the massive cave complex. He surreptitiously checked his palm-sized tricorder, then nodded to his recruits. “In about twenty minutes, there’ll be an impromptu speech by Banis Ch’thiriv, a labor organizer in this area. He generates some support for the nascent Coalition of Planets that lays the groundwork for the later Federation. While his reception here is lukewarm, he’s assassinated about five minutes later by a member of the Terra Prime faction. The assassin is killed by security forces but it takes Banis five days to die from his injuries. During that time he records a set of moving dialogs asking people to become better, to root out these conflicts and do so by finding common ground with Humans—and others—who share a desire for a peaceful future, rather than letting this event turn into a flashpoint for extremists,” Daniels explained. “Then we will be forced to observe his slow death?” said Keero with an anguished expression. Keero glanced at his own tricorder to check for temporal incursions, but there were no signals—just the steady pulse of the quantum waveform from the underlying atomic motion of the universe. Daniels leaned over and pointed at Keero’s tricorder. “All quiet, right? Sooo…” He gestured in a circling motion for Keero to finish his sentence, a teacher guiding a student. Daniels nodded. “Right. And if a temporal incursion were going to happen within the next few minutes, we’d already see tachyons flooding backward. Which means…” He turned to look at Lieutenant Sokhanya. “Right the third time,” said Daniels, his grin tightening as he took on an impassive expression. “And all we know is that the intruder is going to interfere with this point in time. We have to stop that interference, no matter what form it takes.” He put his tiny tricorder back in his pocket and ran his fingers over his sleeve, ostensibly brushing off snow, but in truth checking the small holdout phaser concealed in the lining. “If we are able to save Baris, will that not still protect the timeline?” asked Keero. The group split up, Drij and Keero moving into the walls of textiles as Daniels ducked his head and, with Sokhanya directly behind him, pushed through the crowd to the far side of the cavern and made his way up a rickety metal walkway to the ledge above. Drij smoothly interjected herself, giving Keero a knowing nod as he limply let go of the fabric. “I’m quite interested,” she said. “Do you have anything in a nice silver or dark blue that would complement my skin tone?” she asked, smoothly covering so that Keero could continue his search. Keero stepped aside as the shopkeeper turned her attention to Drij. The sociable Orion easily took up the shopkeeper’s attention, freeing up Keero to continue looking for the would-be assassin. Realizing that the assassin would be less likely to take up a spot inside of the shop if it was already crowded, he drifted next door into a different kiosk selling a variety of knick-knacks, icons, trinkets, and jewelry. He glanced back at Drij, then looked up toward the ledge on the far side of the cavern. 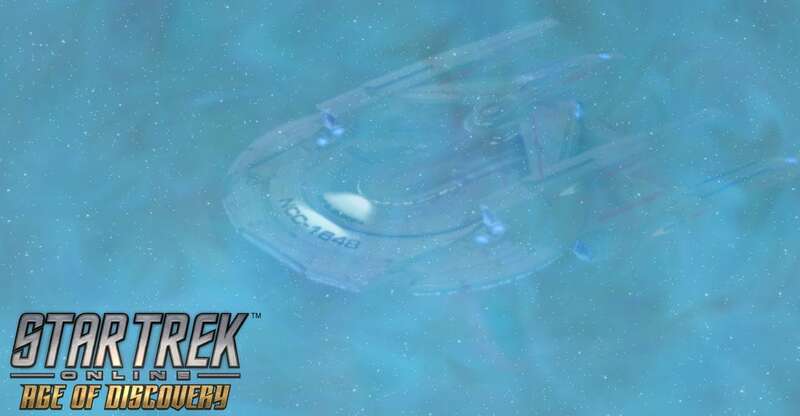 In the distance, Daniels appeared to be engaged in a struggle with an Andorian. On the icy ledge, the two fought for control of an ushaan-tor - the ice-cutting tool famous for use in Andorian duels of honor. Sokhanya struck the Andorian from the side, knocking the weapon from his hand, and Daniels took him to the ground. The two rolled back into the cleft and Sokhanya scooped up the fallen weapon, then also ducked back into the shadows. Only a few seconds later, Sokhanya staggered out, hands covered in blue blood, before Daniels pulled her back into obscurity. Below, the Andorian crowd paid little attention; the ledge was high enough up the wall to be out of the line of sight of most of the people, and besides, who cared if a visitor was stabbed by one of the locals? Drij quickly told the cloth-seller that she’d return with some trade goods of her own and extricated herself. Keero watched her go, then counted out another eight seconds so that his departure didn’t match her timing. He turned and immediately bumped into a smooth, expressionless, bland-looking Andorian man. “Sorry,” he mumbled as he sidestepped out into the street. The Andorian’s expression changed to burning, hate-filled eyes, his lips curving down into a frown, his antennae shrinking back into a defensive posture, and he stepped into the clothier’s shop, still watching Keero the whole time. Keero didn’t see a weapon, but his body language was clear: He was ready to fight. Ducking his head, Keero shuffled quickly down the thoroughfare, sliding through the crowds and trying to catch up with Drij. Despite Daniels’ admonition, Keero couldn’t help but look over his shoulder. Atop a metal stage, an old Andorian man had started shouting at the crowd—Banis, by all appearances. The angry man leaned against a beam supporting the clothier’s shop, listening and clearly upset by the unfolding speech. A few members of the crowd had turned to watch the spontaneous harangue. Keero could feel a sense of dread, of oncoming distress, as he knew how this would unfold. A hand grabbed his arm, hard, and yanked. He attempted to break free, twisting against the grab as he’d learned in hand-to-hand defense training, before he noticed that it was Daniels, face close, pulling him along. “That’s why you can’t go back and change things. You can’t stop the past. You can’t go home again and you can’t return to your own time, because you’d change things and the universe would tear. You’d feel the need to make things different and instead you’d become one of the temporal incursions that risks unraveling the underlying quantum energy of reality,” said Daniels as the two reunited with Sokhanya and Drij. Back at the other end of the marketplace a disruptor whined and the speaker staggered back. Another shot and he fell. People scattered, shouting and pushing. Daniels watched impassively as history unfolded. “We don’t have to like it. But until we have a better alternative, we have to live with it. We’re watching history… but we have to hope that while we’re fighting this fight, there are people who are willing to make that history happen, good people willing to fight for a better tomorrow, one that gives us the chance to step up and make sure that we still have a world to live in.” As the crowd swirled and attention was diverted, he keyed his transponder and the temporal agents were lifted out of the chaos to the safely removed distance of their own time.